The Bentley Continental GTC is the consummate luxury convertible. Incredible craftsmanship, style and power makes it feel special. To our eyes the Continental GTC is the best looking Bentley on sale; it’s simply stunning in the flesh. Our test car’s black paintwork had a rich, deep finish and the dark matrix of the front grille and incredible 20-inch multi-spoke alloy wheels give the GTC a timeless beauty. Strong rear haunches, wide tailpipes and a subtle boot-mounted lip spoiler hint at its massive power and the low roofline of the folding soft top give it the stance of a custom concept car. It doesn’t get any better than this. The leather is of the highest quality we’ve seen, and brings a smile to your face every time you sink into the show-stopping diamond-quilted seats. Hand crafted Burr Walnut dash and door trims, Breitling clock, drilled alloy pedals and a knurled chrome and leather gear lever add to the opulent atmosphere. Everything you touch, from the electric window switches to the ‘organ stop’ dash controls and paddle gear shifters has a metallic and mechanical feel. While the Continental GT has plenty of boot space (370 litres), the folding roof mechanism of the GTC reduces its size significantly to 235 litres. It’s enough for some weekend luggage, but only just. The alternative is to place some items on the rear seats, but you will want to be careful it doesn’t mark the soft leather. The Bentley Grand Touring Convertible has handling which perfectly matches its demeanour. There is huge grip from the 20-inch ultra-high performance Pirelli P Zero tyres and four-wheel drive system and the Bentley is hugely fast, composed and comfortable come rain or shine. The Speed is lower and stiffer than the normal GTC with revised spring, anti-roll bar and damper settings but it’s still not as visceral to drive as you might expect of a 600bhp supercar. Instead of delivering raw excitement, the GTC Speed instead impresses with its smooth nature and effortless speed – qualities which really grown on you. And, selecting one of the firmer of the four available suspension settings sharpens the ride and steering, adding precision during a spirited B-road blast. The GTC is hardly a slow car, and the 600bhp Speed is simply sensational – the most powerful Bentley convertible in its illustrious history. With a soulful bellow from its exhaust pipes the speedometer needle smoothly comes to life and twists around the gauge. Meanwhile the outside world starts to bend and the car in front is pulled backwards. 0-60mph takes 4.8 seconds and the top speed is 195mph with the roof down. With it up, it’s possible to crack 200mph. An automatic gearbox with six speeds can be left in ‘Drive’ or ‘Sport’ fully automatic modes or gears can be chosen with the shift paddles and gearlever. Changes aren’t the quickest, but they are always smooth and suit the tidal wave of pulling power from the Crewe-manufactured twin-turbocharged W12 engine. With a starting price more commonly found in an estate agent’s window than on a garage forecourt, this is obviously a car for the well-off. Servicing is every 10,000 miles and charges will be sizeable as Bentley parts and labour unsurprisingly are at premium cost. Opt for the ceramic brakes and the front discs are the largest fitted to any production car. Bentley claims a combined fuel consumption of 17mpg, and we managed to average 19mpg on a long motorway and A-road journey. Unsurprisingly emissions of almost 400g/km place the GTC Speed in the top tax band. Incredible attention to detail and workmanship should mean the GTC is a thoroughly reliable car. The W12 engine is well proven, as are the transmission and electronics. Bentley is part of the Volkswagen stable and benefits from the same quality standards as Audi, Lamborghini and even Bugatti. 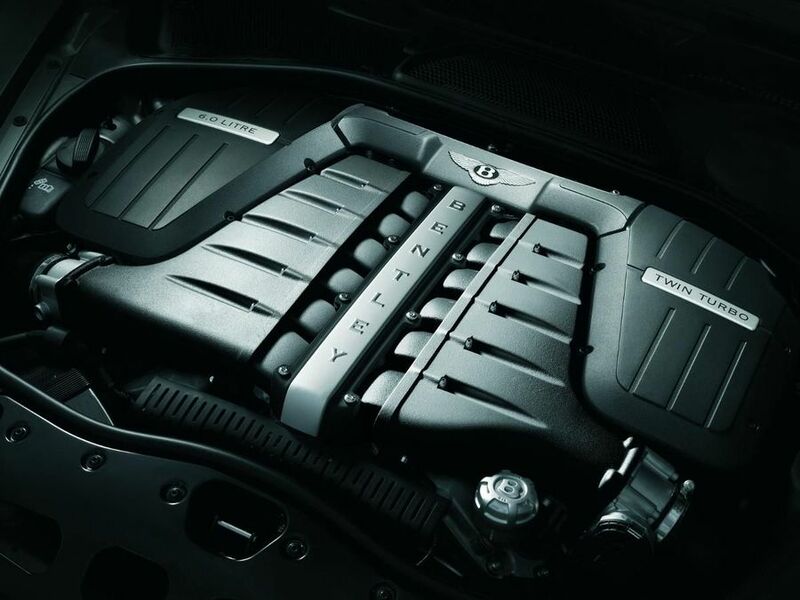 If something does go wrong Bentley should offer exemplary support, but the GTC is built to have a long lifespan. Even with a soft fabric hood in place of the steel roof, the GTC is an incredibly cocooning place to be with a reassuringly strong and rigid body. As well as being fitted with some of the biggest brakes on any car, it also has the latest ESP and ABS systems and it’s fitted with the usual airbags. Being asked to pay £280 extra for iPod connectivity, £620 for a power opening and closing boot and £170 for an alloy fuel filler cap may seem surprising when the starting price is £153,400 but it’s all par for the course in the heady world of supercars. The £4,840 Naim stereo is worth consideration if aural excellence is high on your priority list, you have a new single riding high in the charts or want to check the latest footie scores on 5 Live with perfect clarity. Despite being a 200mph, 600bhp supercar the GTC Speed won’t be setting any lap records at the Nurburgring and doesn’t boast the gearshift times of a recent Formula 1 car. It has been designed to cross continents without breaking a sweat, make its owners feel special and deliver devastating speed when asked.